Its a happy New Year for Thailand who has finally approved the use of cannabis and kratom plants for medical purposes only. However, the possession of large quantities and trafficking of the plants, which are scheduled five drugs, will still result in a death sentence nationally including the boarding countries throughout the region. Legalization of medical marijuana passed the governments National Legislative Assembly in a junta-appointed parliamentary vote of 166-0, with 13 missing. The Thai government passed the law over the holidays, approving the use of marijuana and Kratom for medical purpose and research. According to Reuters, public hearings showed extraordinary support for the legislation which amends the Narcotic Act of 1979 in an extra-parliamentary session handling multiple issues. Thailand and America are similar when it comes to the 1930 marijuana prohibition. Originally it was used as a traditional medicine sold in apothecaries to relieve pain and anxiety. 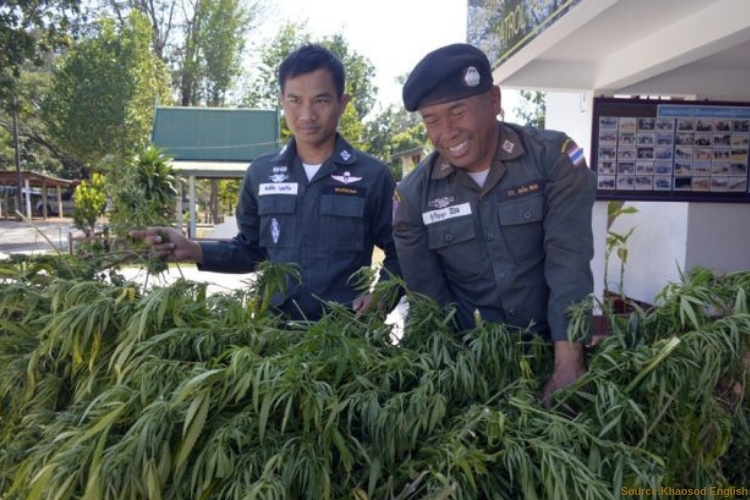 Although this is a massive step in the right direction for Thailand, adult use of recreational cannabis remains illegal and forbidden across most of South East Asia, which has some of the cruelest consequences for drug law violations outside the Kingdom of Saudi Arabia. Thailand sentences anyone found guilty of smuggling or trafficking to death. Extensive medical research supports the bill, highlighting the benefits of marijuana extract which has led “many countries around the world to ease their laws by enacting legal amendments to allow their citizens to legally use kratom and marijuana for medicinal or recreational purposes,” according to the reports. In Thailand, many patients have already adapted to using marijuana to treat their illnesses despite it previously being labeled as an illegal substance. The bill addresses production, imports, exports, possession-lifting the previously placed restrictions. Producers and researchers are required to have a license to handle plants, while patients will need prescriptions for medical purposes. The law does not specify who will supply the medical marijuana and kratom to those eligible to seek permission to import, export or prescribe it. However, doctors, medical professionals, applied Thai medicine practitioners, class one veterinarians, pharmacists, and dentist are all qualified to produce the plants. Despite the new law, doctors who qualify are excluded from legal ramifications. However, anyone else caught carrying more than 10 kilograms of weed or kratom will face charges for possession with intent to sell along with a 5-year prison sentence and a massive find of $3,068. The Recover is a unbiased substance abuse and mental health news provider. Helping individuals looking for the right treatment programs in their area. Also providing information on drug rehab centers for addiction recovery.